Technology plays an important role in business. It is now being used by many companies which compete in the world of business. The technical advantages in design, advertising, sales and development of the business provide good services and promote products that produce more sales and income. The problem of the company is manual update of due date of loans and credits which is unmanageable, time-consuming and very hassle for each employee and existing system cannot provide immediate response to the needs of every customers. The project system entitled Web Based Information System on Loan Management with SMS Notification is an online/offline application that will replace or convert manual loaning process and updates transactions into automated system. This system has its feature that can update and send text messages to remind the due date of loans and credits of the member of the cooperative. To avoid penalties, this system is capable to receive and send text messages to the member of the cooperative for updates of their account deposited and for the time reservation of withdrawals when it is available or not to have their transaction. The implementation of this system is very necessary in business for it will help to gain more members. This can avoid time-consuming tasks and help in monitoring the ingoing and outgoing transactions. This system can also generate reports when needed and can provide backup records for all transactions. 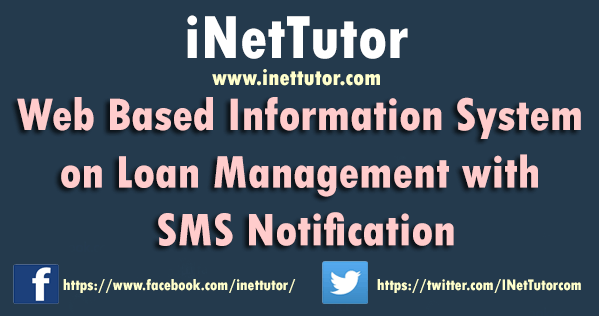 The main purpose of the study is to create an efficient and manageable Information System for Loan Transaction and management with SMS notification. To convert the manual process of loan management into an online platform. To integrate SMS notification to the information system in order to notify the members and clients. This study provides benefits to specific target of this system study. Employees. This study will be a significant endeavor in promoting good work environment in the workplace and motivations of each employee. Employees would not have to worry in preparing report form for the managers because the system will supply it for them. Business/Cooperative. This study helps to promote business quality and processing, increase business sales and its productivity. Customer/Member. Provides customer easy access by each loaning transactions. 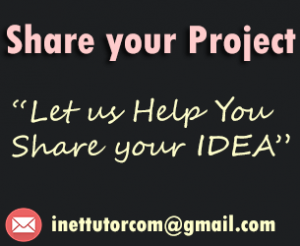 Send updates and information to client via SMS. Future Researchers. It is believed that the project has still a lot of things that needs to be improved and enhanced. The future researchers can use this study as their references and can improve further and add additional features and innovation. In terms of security, only the system administrator can fix errors in times of system trouble and know all the functions within the system while the office administrator can only view all the records and functions. Unlike the office administrator the user cannot view all the functions of the system. For you to have access in the database, the system requires password for its security purposes. To update the member of a certain account, the system will send a message containing reminder about the due date of their loans and credit line. In the other hand, it is also capable of monitoring company’s incoming and outgoing transactions and it can help them a lot for the convenient and satisfactory of each company “fewer jobs, less human works and most especially less expenditure”. The proposed system includes the following components that are going to be used by researchers for the development of the system. The member will apply for the membership at the cooperative; then user will register the member using the system. If a particular member will apply for a loan the system will determine if the member can avail a particular type of loan or not then the Office Administrator or Manager will approved or disapproved the transaction. For the loan payment process the exact amount to be paid by the member will be recorded. All transaction will be stored in the database and the system will send SMS to the member about all the transactions made.